Safety & Human Factors | SPA inc.
and other professionals put forth a great deal of effort in code development and other accident-prevention techniques designed to either eliminate recognized fall hazards or, at the very least, reduce the chance that a recognized fall hazard will lead to an accident. 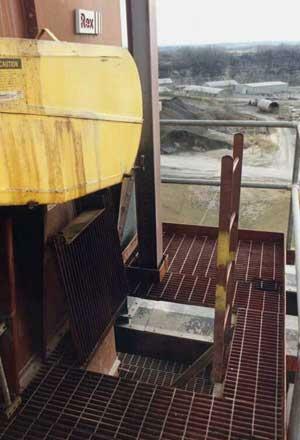 Even with this effort and under the most rigorously controlled safety code and standard enforcement, accidents occur. The one variable hardest to predict or control is that of human behavior. Consider the single step. Single steps can be found at numerous locations in shopping malls, offices, restaurants, stores, hotels, movie theaters, churches, etc. Research from the National Bureau of Standards suggests that single steps, two-riser stairs, and encroachments may not be noticed by the person approaching them, especially from above. Consensus building codes, such as BOCA, consider the presence of a single step, 12 inches high or less in an exit or an exit access corridor, to be a hazard. 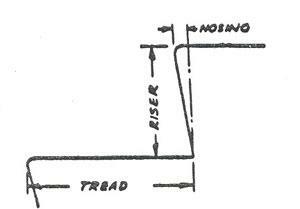 Let us look at and generally analyze two single-step accident scenarios. Were there any visual cues present in the environment to show the change of elevation? Was this accident a result of a hazard not easily perceived? If, after reviewing the two fall accident scenarios above, you believe that in each case environmental visual cues could have an effect on human behavior relating to the accident, then you have crossed the threshold from traditional engineering and safety philosophy into the realm of human factors engineering. An investigation of a slip, trip, or fall accident in any location or environment begins with principles of recognized safety practices including research of building codes and safety standards. However, to be thorough, a systematic fall accident investigator must incorporate the human factor– the knowledge of the principles of human behavior, physiology, and the psychology of perception and group dynamics– into his/her analysis and conclusions regarding the cause of any fall accident! Fixed ladders may be blocked by obstructions. 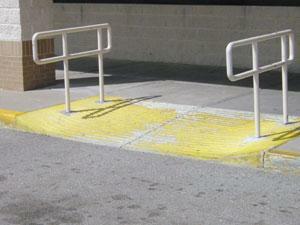 The safety features of this pedestrian ramp include hand rails on both sides, painted yellow to warn of the potential of slipping/ falling, and a ridged walking surface for increased traction. © 2017 Stanley Pulz and Associates, Inc.